Students come in all shapes and forms – not only physically but also intellectually, mentally, and emotionally. With that awareness, I strive to accommodate and incorporate special needs and individual differences in my classroom. My artifact is before-and-after snapshots of writing samples from a student with an ESL designation at the reception level. He benefited tremendously from the Morning Pages free-write exercises that I implemented during my practicum. This activity was introduced to me in the Language Methods course form my education program. Initially I was sceptical of its effectiveness as strategy for teaching writing. However, my practicum experience proved otherwise. 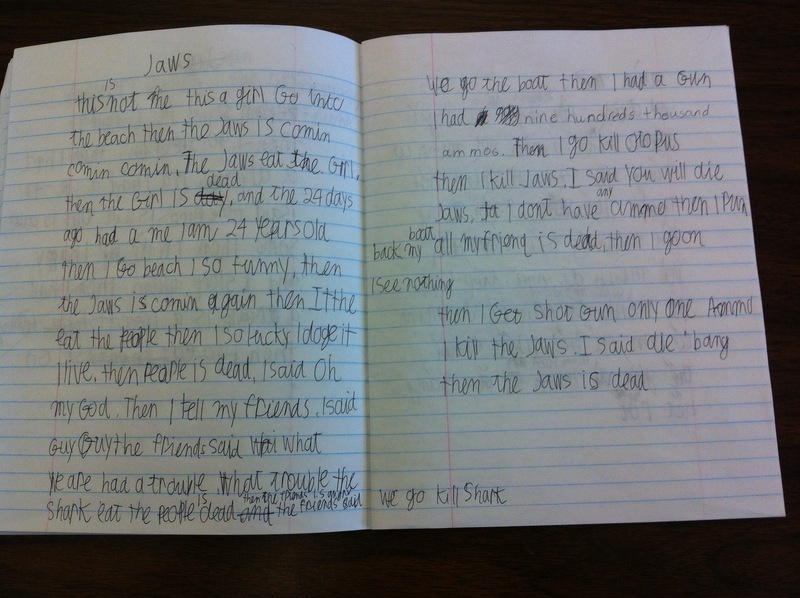 As a class, the students were often motivated to share what they had written during the structured sharing time that came after the free-write exercise. Over the course of my practicum, this student, whose work is shown above, made significant progress in his ability to write longer reflections. A few weeks before the end of my practicum, he did a particularly good job and wanted to share his writing. 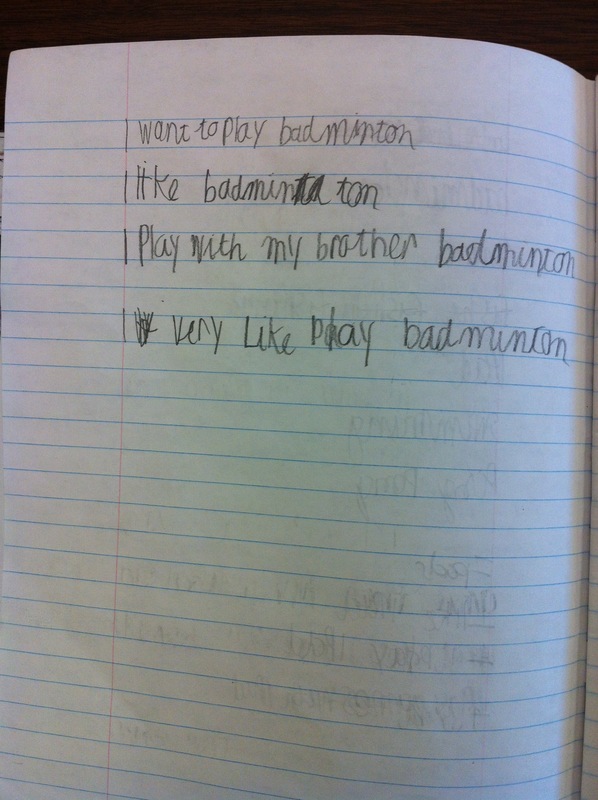 It was difficult for him to read out loud, so I read his writing for him. The class was so impressed with the amount of writing he had done that a loud applause erupted. He glowed with confidence. It was a powerful moment. After that day, this student was always motivated to write and have me share his writings when it came to Morning Pages. That day marked a new beginning where the student felt much more comfortable actively participating in all classroom activities. Moments like this really solidify my belief that any student can shine given the right context and support. As educators, we need be aware of these opportunities and utilize them to encourage student growth both academically and socially. I am hopeful there will be multiple opportunities for me to create and capture these educational moments in my professional journey.